What a great single layer card and I so love the grunge! 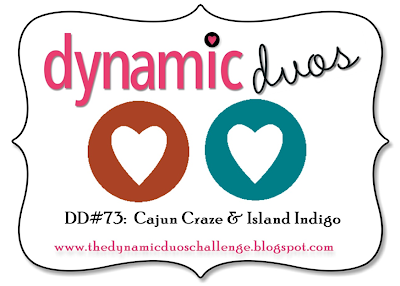 Thanks for playing Dynamic Duos with us this week! Hey Shirley, love your comment about forgetting your PINS! Funny how things just seem to 'fade' out of the our memory. I'm likely at the point where I can play hide & seek with myself! 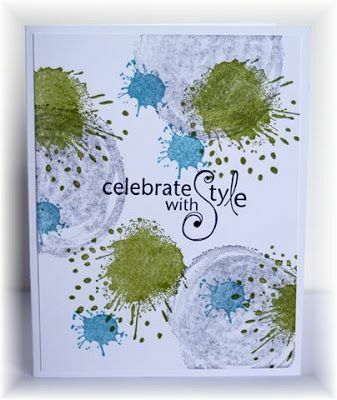 Fabulous spots, splats & blobs - love the colors! I just started following you thru feedly (love the app) and this morning I just spent 2 hours going thru previous posts. Love your cards and your style and colours and wow just wanted to say love your talent. What a totally fun card...and a great design! Love those stamps and your color combo, too!